Why is it that most of us don’t make pumpkin recipes any other time of the year, but in the Fall? It must have something to do with the brilliant reds, oranges and yellow that we see on the trees and the lovely displays of winter squash and pumpkins that aren’t evident any other time of the year? Fall is my time of the year, especially after the brutal heat and humidity that we experience here in coastal Georgia. Let the pumpkin recipes begin with this sweet hot pumpkin chutney from Donna Hay Magazine #69. 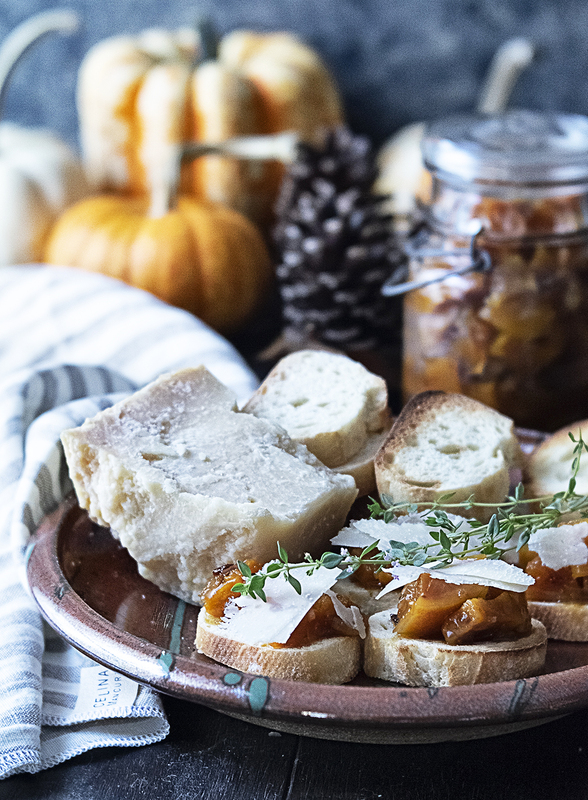 Donna Hay’s pumpkin chutney recipe calls for a Kent pumpkin, also called a Japanese pumpkin which has greenish skin with orange speckles, but I found that butternut squash is a perfect substitute. Peeling a butternut squash can be quite a challenge, but I found a link from Simply Recipes which goes into detail regarding peeling and cutting a butternut squash. In a medium saucepan, heat the olive oil over medium heat. Add the onion and garlic and cook for 4-5 minutes. Add the orange rind and juice, the butternut squash, bay leaves, crushed Chipotle peppers, vinegar, sugar, salt and pepper. Bring to boil over high heat, then reduce heat to medium and cook, stirring occasionally, for 40 minutes or until thickened. Allow to cool. 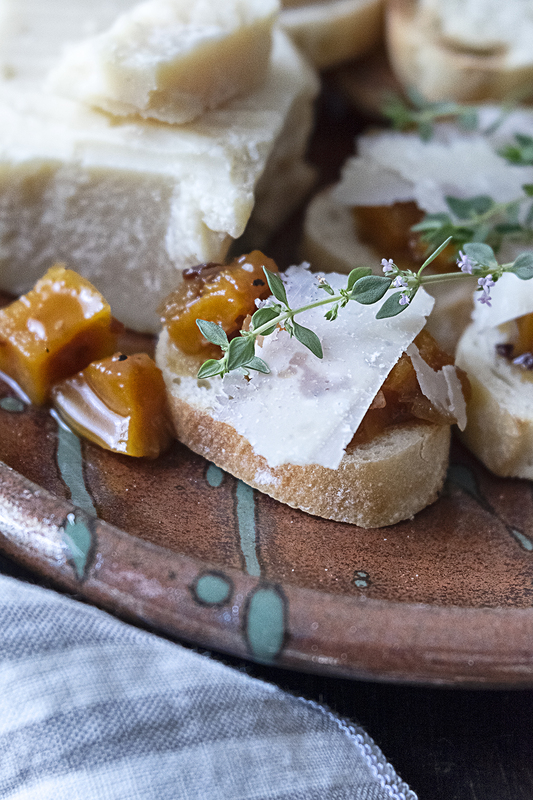 Top the toasted bread with the chutney, Pecorino or Parmesan and thyme leaves to serve. Serves 4 as a side or 6-8 as an appetizer. Store in an airtight container up to 2 weeks. Spicy Pumpkin Chutney is my contribution to a second course vegetarian as a chef assistant to Menu Lib (e) ro hosted this session by Rosa Maria Tenore and who posts a lovely Frufella made with a combination of fresh greens. 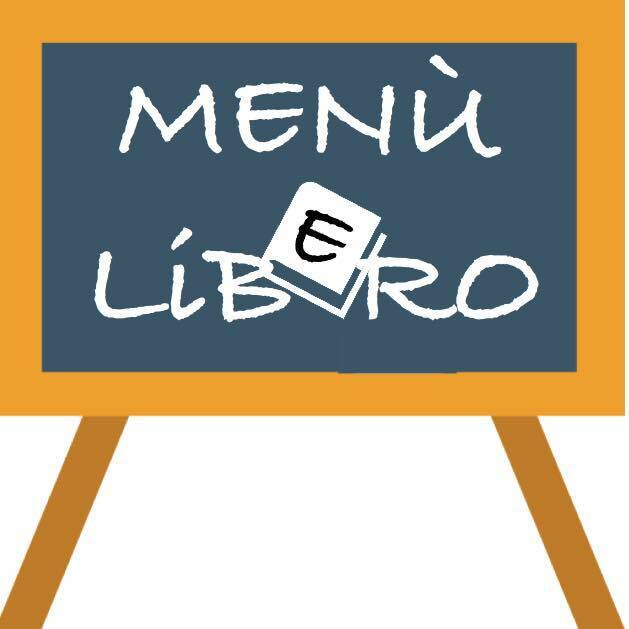 Menu Lib (e) ro is Marta’s brilliant idea and is perfectly executed by Aiu’. I love Pumpkin! 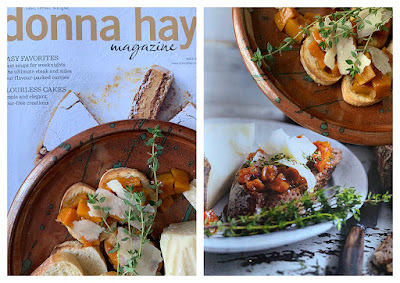 I love Donna Hay! ^_____________^Kiss!